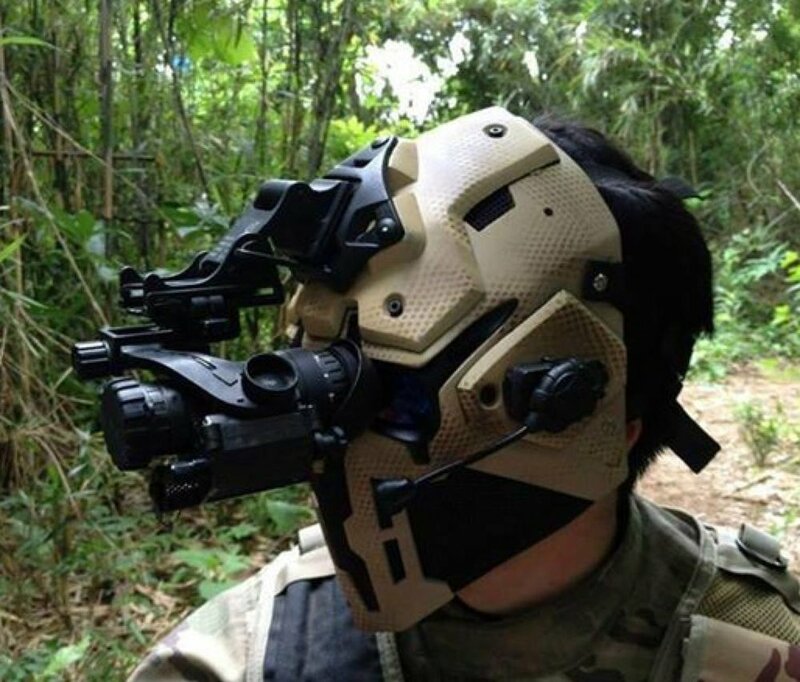 This Mask/Helmet helps you from getting shot in the face! Devtac states the mask protects 70-80% of the cranium from Ballistic Hits. It was initially developed by Wesley Shibata (Devtac Japan) for Airsoft. The Kevlar armor plates were added later. Neodymium magnets help place the 3A Armor plates, then a slick slide-connect holds them in. You can also bolt them in for added robustness. Amazingly, it also offers 85% peripheral vision, NVG Optics mounting capability, and replaceable lenses (for prescriptions). You can also install a fan, communications, and and an HUD (Heads Up Display).